First Multi Currency Account in Malaysia with a Debit Card that allows you to transact in 13 foreign currencies on top of Ringgit Malaysia. No currency conversion fee on overseas retail spend*. Hassle-free on all your retail spend in Ringgit Malaysia and 13 foreign currencies. 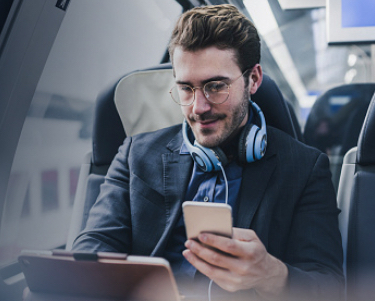 Enjoy access to a fast, simple and seamless online banking experience no matter where you are. 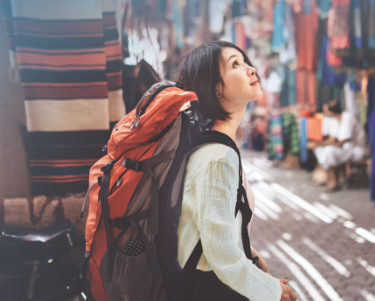 From local to overseas, you can travel for work at major cities1 with the currencies stored in your card. 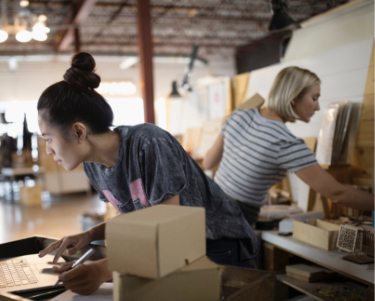 With cash on hand for immediate expenses, it’s a load off your mind and you can focus on your work. Regardless which major cities1 you travel in the world, it’s the smart and convenient way to carry your travel fund. All you need is just one card that carries multiple currencies1. Be it for e-commerce or shopping online, you can take your card across borders1 offering you good exchange rates on your overseas retail spend in major cities1. 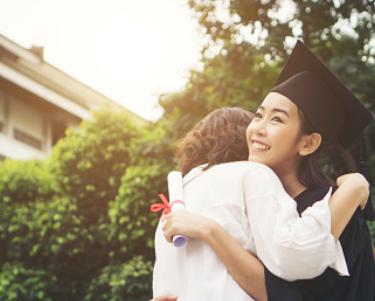 No matter which major cities1 your children study in, you can set up account here so you can transfer money for their living expenses. This way, you can view how they manage their expenses abroad. 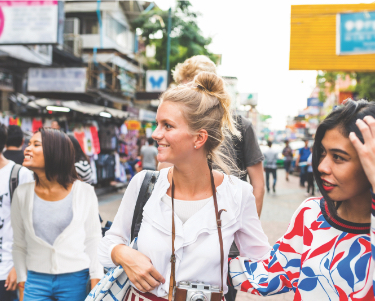 Regardless of where you work as an Expat1, the card can conveniently store 13 foreign currencies on top of Ringgit Malaysia. With online banking access, you get to enjoy fund transfer from RM to any currency of your choice. 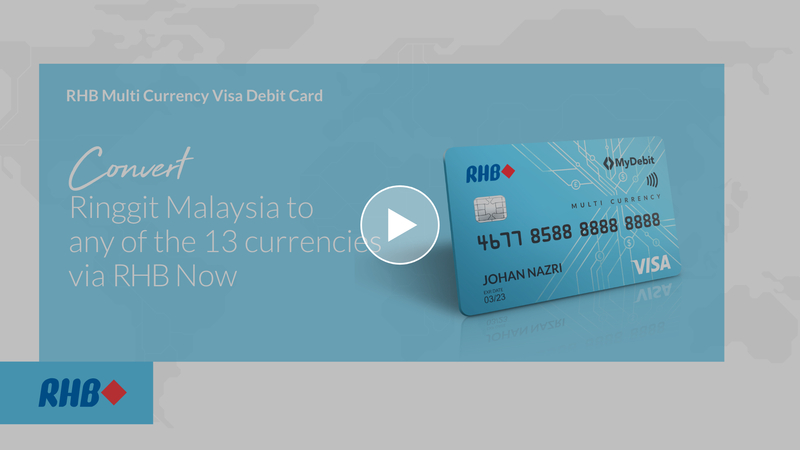 1Subject to any of the 13 foreign currencies available in the RHB Multi Currency Visa Debit Card. 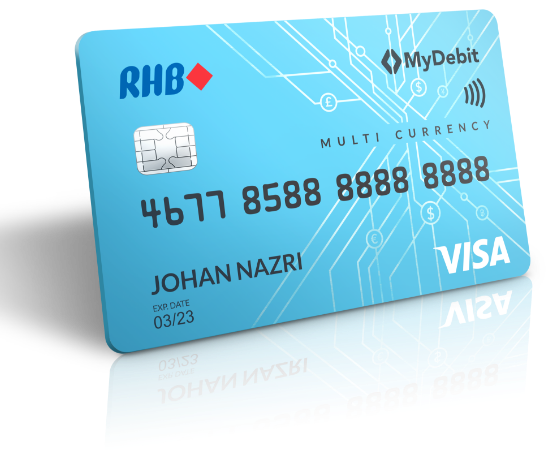 Open Multi Currency Account and Current or Savings Account with RHB Bank. 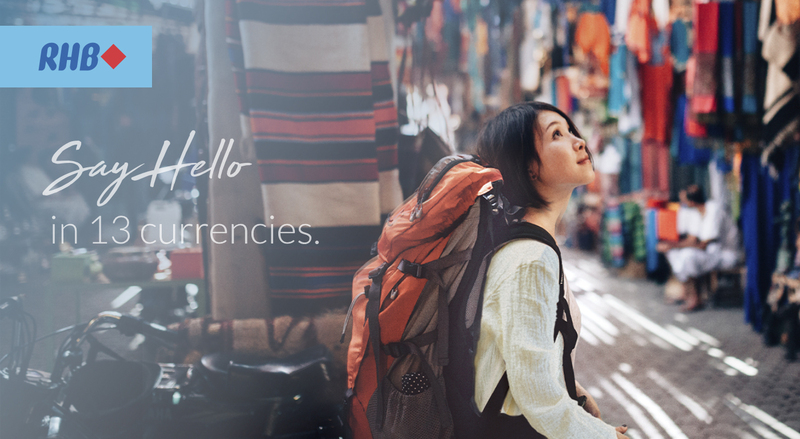 Convert Ringgit Malaysia to your preferred currencies via RHB Now Internet Banking. Convert Ringgit Malaysia to your preferred currencies via RHB Now Internet Banking with your existing Multi Currency Account. When does ‘No Currency Conversion Fee’ apply? Note: RHB Now Internet Banking allows customers to transfer funds from Ringgit Account to Multi Currency Account anytime, any day, anywhere. You’re in New York and you make a transaction amounting to USD10,000. USD will be deducted directly from your USD fund with no currency conversion fee. You’re in Milan and you make a transaction amounting to EUR20,000. EUR20,000 will be deducted from your Ringgit Malaysia Account with 1% currency conversion fee. You’re in London and you make a transaction worth GBP50,000. Since there’s insufficient fund in both Multi Currency Account and Ringgit Account, the transaction will be declined. By clicking Submit, I give my consent to RHB Bank Berhad (“the Bank”) to collect, use and disclose my personal data for the purpose of contacting me about the products and services offered by the Bank in the country indicated above, via voice calls or text messages or emails. I acknowledge that my consent in this form shall override any current or future registration of my telephone number(s) with the National Do Not Call Registry, and is in addition to any other consent which I may have provided to the Bank in respect of the collection, use and/or disclosure of my personal data and shall be without prejudice to and does not derogate from the Bank’s rights to collect, use, and/or disclose my personal data under the law. 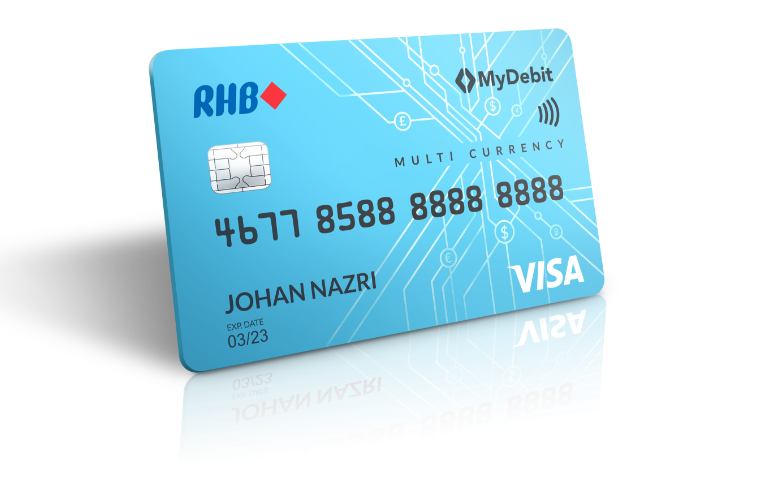 *RHB Multi Currency Visa Debit Card Terms & Conditions apply. Eligible for all new and existing RHB Multi Currency Account Holders. The Multi Currency Deposit Rate is subject to selected currencies. Customers are advised to check the latest deposit rates at RHB Group's website before performing any sale transactions. There will not be a 1% conversion fee charged on the transaction of 13 foreign currencies. If there are insufficient funds in a particular currency to pay for the purchase, the funds will be deducted from the Ringgit Account held in the card and a 1% conversion fee will be charged. If there are still insufficient funds in the Ringgit Account, the said transaction will be declined. Any fees & charges will be deducted from the Ringgit Account directly. The terms used herein are as defined in the RHB Multi Currency Visa Debit Card Terms & Conditions. Member of Perbadanan Insurans Deposit Malaysia. Deposit is eligible for protection by PIDM, excluding Gold and Silver.